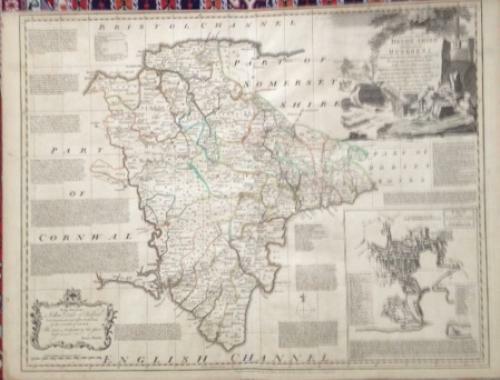 Title: 'An Accurate Map of Devonshire divided into its Hundreds'. A large and decorative map from the 'Large English Atlas'. In good condition with a tight top margin and overall toning.